Aside from watching their favourite games and collecting themed merchandises, most basketball fanatics nowadays are getting hooked with several video game versions of their favourite sports. There are now various gaming consoles available in the market today which host several basketball game titles for its users. Gamers get to experience immersive and topnotch gaming features in these platforms which include known gaming brands, portable consoles, and even mobile devices. Moreover, these games don't just bring the games to them, but players are somewhat brought into the game. They get to virtually control some of their favourite basketball idols throughout their career and in every game leading them to win championships. Without further ado, here are some of the best basketball games for PS4 that slam-games.com could find. 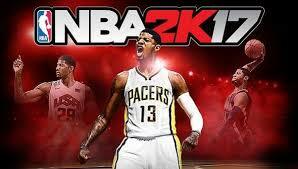 One of the most popular PS4 game franchises available in the market today is its collection of NBA 2K games. Thus, in its 18th instalment, 2K Sports recently released another game title of NBA basketball, NBA 2K17. This version of the known 2K title came into two different editions - the regular and the legend editions. NBA 2K17 is a video game simulation of the most popular basketball games to bet on, the NBA. Gamers get to enjoy different game modes like MyCareer, where they get to create their own player and control him through his career of being an NBA superstar, MyTeam, where they get to form their own team which will compete against teams created by other NBA 2K17 players. They can also control and manage an entire organization through the MyGM and MyLeague game modes. Along with the 2K17 roster, this game also features vintage NBA teams, classic United States men's Olympic teams, national teams, and even teams participating in the EuroLeague. Fast forwarding to the present, 2K Sports has already released its up-to-date version of its NBA franchise. NBA 2K18 features the updated roster of all NBA teams today, together with the other game modes from its predecessor - MyCareer, MyGM, MyTeam, classic NBA teams, and the opportunity to stream live basketball games from home. Other than these similar game modes, NBA2K18 boasts its advancements in some of its features. These include more realistic player movements compared with its earlier instalment. Aesthetics were also improved with better-looking basketball players and improved game colours. In terms of its gaming controls, 2K18 banners its advanced passing and shooting controls, new defensive coordination and coaching scheme, improved system proficiency of team coaches, and better physics in loose ball scenarios. Gamers will surely get thrilled with these exciting upgrades and next-gen graphics features. Another highlight is "The Neighborhood" which allows players to easily switch between different game types in the MyCareer game mode. Other than playing inside the courts, NBA can also be brought out the streets and into a streetball setting with NBA Playgrounds. This arcade-themed basketball game features two-on-two, high-flying basketball action of some prominent NBA superstars battling it out for the street basketball supremacy. Gamers can manage and play their two-man teams in different game modes which include the exhibition, tournament, and online levels. They need to earn game packs which consist of several upgrades improving their players from bronze to silver than gold ratings. Premium gold packs contain high-quality player promotions. 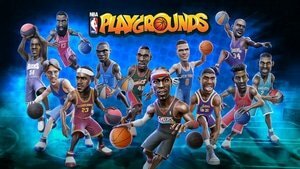 NBA Playgrounds also hosts a multiplayer game mode wherein they get to compete with other players online and earn bonus packs for upgrades. Some experienced and regular console players may similarly compare this with NBA Jam in terms of its gameplay and features. 3on3 Freestyle is considered a spin-off of the known Freestyle Street Basketball franchise which allows gamers to select their preferred "baller" from a roster of street basketball players. Each player has its unique skills and attributes which will assist them in winning games in this exciting 3-on-3 sports action game. These skills range from the player's shooting, passing, and defensive prowess on court. Identifying the right combinations will rack up anyone's winning records and advance them through the ladder. Since 3on3 Freestyle is themed after street basketball, its gamers should expect their players playing in the streets or in parks. Its in-game controls are also simple and easy to understand which don't require any tutorial from the game. This fast-paced basketball game is only available online which allows players to compete with other real gamers in the region.